On Monday, at “The View” co-host Joy Behar threw a temper tantrum and threatened to quit the show if “entitled b***h” Meghan McCain didn’t stop challenging her, as a warm tribute to the late president George HW Bush turned into a shouting match between Behar and McCain. The anger was rising as McCain snapped back, “I’m not interested in your one issue voter–,” Visibly angry Behar got louder as she shouted, “And I don’t care what you’re interested in. I’m talking—- Damn it !” “Well, I don’t care what you’re interested in either, Joy!” McCain responded just as Whoopi Goldberg was forced to cut to a commercial break to give things a chance to chill. As the show started going to break the viewers saw an angry Behar toss down her cue cards on the table. ‘If this s**t doesn’t stop I’m quitting this damn show. I can’t take this much more,’ Behar allegedly fumed. Producers ran to the stage in an attempt to de-escalate the situation, but Behar continued to rant, the source said. ‘I’ve tolerated a lot of s**t on this show but I’m at my wits’ end with this entitled b***h. Enough already! Enough already! I’m not playing nice any longer,’ Behar shouted, despite the studio audience being able to hear it all. While I am not a fan of either woman, McCain was correct that Behar was changing the tone of the segment. 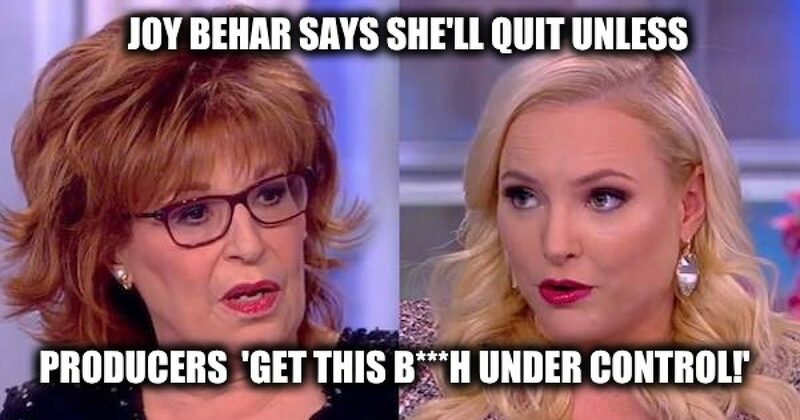 Behar’s threat that she’s not playing nice anymore was a strange comment as most media observers are waiting for the acerbic liberal to play nice for a first time. Below is a video of the segment and the on-air part of the fight. 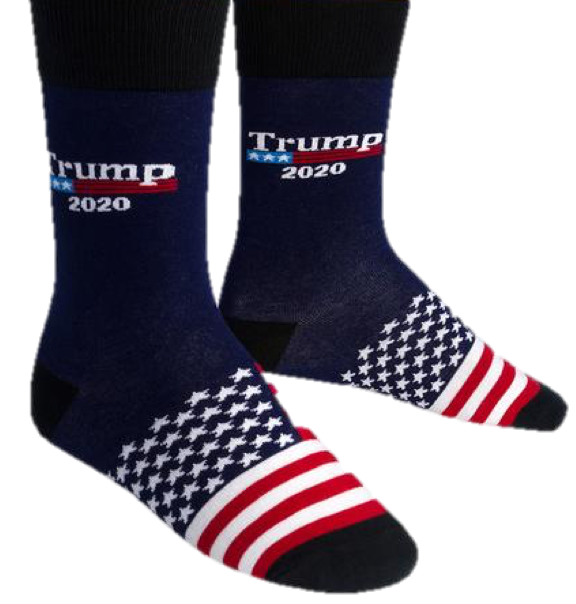 Cozy up by the fire with the perfect patriotic socks this season! Let’s “Keep America Great” and be sure to vote Trump in 2020!